I think about a lot of things when I look at Issa Barte’s art. 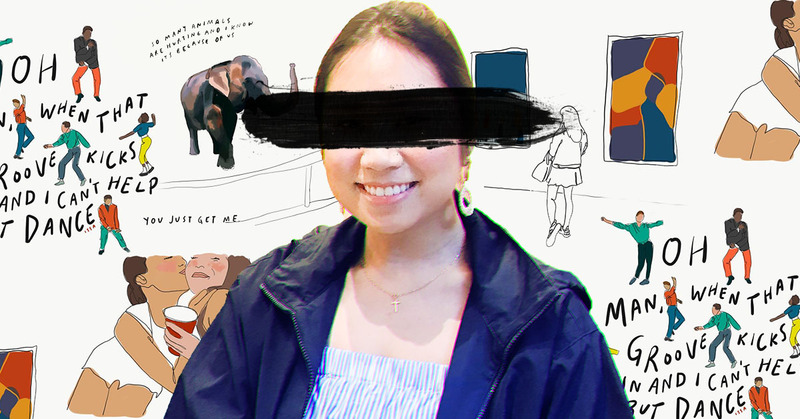 The tiles of her Instagram page are filled with thoughts and moments that feel familiar, brought to life by way of sketch and scribble. They’re beautiful, I think, these images. They go from surreal to realistic, traverse the spectrum of line art to intricate color. A delightful consequence of a variety of influences (primarily Van Gogh and Matisse, she reveals over coffee one weekday afternoon). I also think about the irony of these illustrations, hefty with emotion and backstories, and how they’re housed on Instagram, a platform berated left and right for glamorizing the real and fueling the ugly, blazing fire of materialism and envy. That’s not how Issa’s illustrations seem at all. If anything, Issa’s illustrations are the opposite. They’re the medium to a bigger message: one that propels acceptance and authenticity and really, truly feeling. 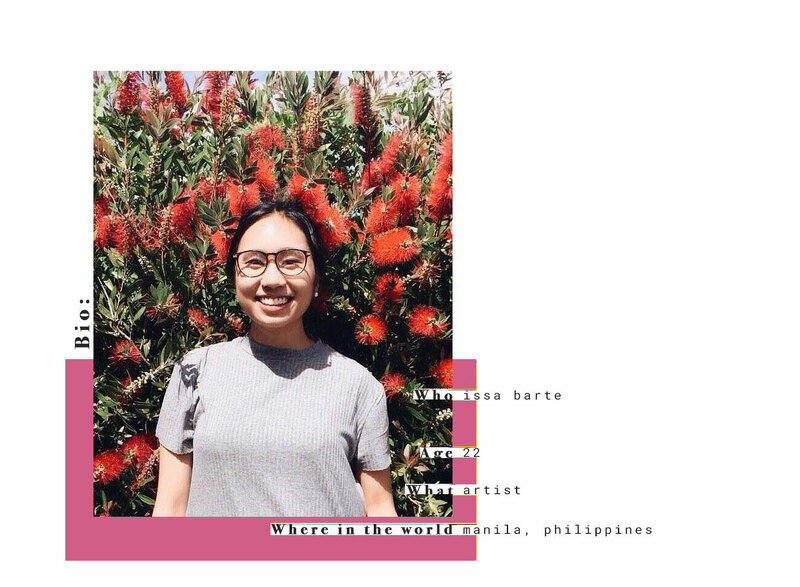 In a time where it’s so easy to function only within our own circles, Issa Barte swims upstream. 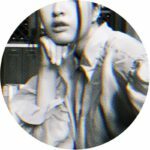 She lends a proverbial ear by asking about people’s innermost thoughts, deepest-rooted stories, biggest moments, turning them into visuals the rest of the world can resonate with. While her illustrations have earned people’s affections and easily amass hundreds of likes, popularity may very well be the last thing on her mind. “My passion is helping people,” she admits and despite how candidly she lets the statement slip, it hits us like a breath of fresh air. That’s not something you hear every day. Ahead, we get to know the 22-year-old artist behind the Instagram handle. Wonder: Is art something you always pictured yourself doing? Issa: No, super no. In high school, I did always think I was going to be an artist but when I started picking my course for college, I wanted something more…I hate to say this word, but more practical. In college I stopped all my art, but then I quit all of my jobs this July and started doing my art again. W: Let’s talk process. For the series of works you post online, you ask people to anonymously submit stories or thoughts for you to illustrate. From there, how do you go about creating your art? Issa: I can show you on my iPad! You can see how I evolved––it was really so simple before. I super learned how to do art through this. A lot of my works are from pictures. I get pieces of pictures and recreate them. It’s so much easier when I can connect to the thought. There are so many submissions coming in, so I get at least three people per series to help me filter through the submission. I don’t want to be biased. If I feel for that [submission], then I can picture the thing right away. If I can’t, I have to work harder. W: Why did you choose this as your medium? Issa: I think the kind of artist I am is super emotional. I love feelings; I’m a Pisces. When I work on a piece that has to be sad, I have to work on it while I’m feeling that way. I used to do oil, but if I was doing a sad piece but the next day I’d be super happy, I couldn’t put that emotion [into the work]. With digital, it’s so much easier. I don’t need to wait for anything to dry or worry about running out of paint or anything. It’s the best. W: Let’s talk about your 100 Thoughts series. What prompted you to start it? Issa: I’m from a church group and I was a team leader. I realized what really helped my peers was really listening to their struggles. I didn’t need to give any advice; I just needed to be there to listen. When I started this, I just knew that I was good at listening. I didn’t know this [the Stranger Thoughts series] was something that would grow on this platform––I just wanted people to have what I had all the time. From there, Better Thoughts started because of this one submission. I saw the writing; it was so familiar and I thought it was my friend. It was the saddest Stranger Thought ever. I hated knowing that it was one of my close friends who felt this way. After that, I was like, “I think I need to show the better side of these things.” It’s nice because what I realize from finishing the series is that a lot of the Better Thoughts come from bad experiences. They feel so good because they’ve gotten through something so bad. W: Now you have 100 Moments. How is that progressing so far? Issa: 100 Moments is about the defining moments of people’s lives or the best advice they’ve gotten. I wanted it to be something empowering instead of just a feeling at the moment. I want to show that this platform can be empowering for people. The submissions are coming in like a hundred a day. It’s crazy––when I started Stranger Thoughts I was posting the survey everywhere asking for people to submit stuff. Now, people are just coming into these projects out of goodwill. My heart is full every day, but when i read through submissions, it gets really sad, too. W: Doesn’t it get too overwhelming? Issa: It does, especially when I can tell it’s a friend. Some of my friends are writers so I know [what they sound like]…that’s when it gets hard. They didn’t tell me; they told the survey. That means they didn’t want me to bring it up with them. W: You also had a painting-meets-drinking “Ahrte Session” not too long ago. Tell us about that. Issa: Oh yeah, that was fun. It was supposed to just be a session, but it became a class. I was freaking teaching painting after not painting for so long! It was the first time I’d painted on a canvas in years. I actually do art therapy for a non-profit called Spring Philippines, and this is what I do when they have sessions. I wanted to bring that to my friends––except not as therapy, but as a bonding experience. W: What can we expect from you from here on out? Issa: I’m doing an art series for Spring Philippines, a non-profit org that aims to create a safe space for mental health as well as remove the stigma of mental illnesses, and a collaboration with Pinta by PHeed, another non-profit organization that aims to alleviate poverty in the Philippines. See, feel, double-tap accordingly. Keep up with Issa’s work on Instagram, or be a part of her 100 Moments series by telling her your life’s defining moment.